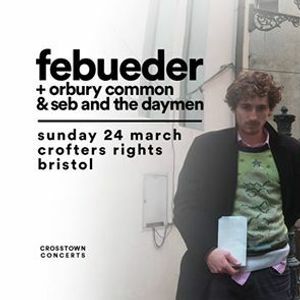 Febueder are an alternative indie duo from Ascot, England, composed of lead vocalist/multi-instrumentalist Kieran Godfrey and percussionist Samuel Keysell. Their name (pronounced Fe-byou-der) is more than a made-up appellation, it’s the palette from which they present their emotionally deft songwriting and progressive approach to rhythm and melody. 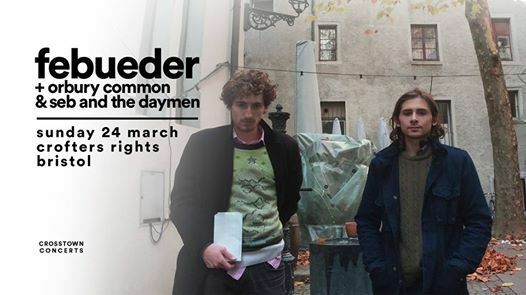 On April 6, 2018, Febueder released their new EP ‘All a Hoax’ featuring mixing from Marta Salogni (Bjork, Frank Ocean, The **) on singles ‘Hans’ and ‘Paramount Tether’. The EP exceeds expectations from publications like NME, The Line of Best Fit, GoldFlakePaint, Indie Shuffle, CLASH, and DIY, and positions Febueder as one of the UK’s bands to watch.